Barometers are weather instruments that measure barometric pressure. We have a variety of attractive and practical barometers for the wall, workstation, or out in the field. 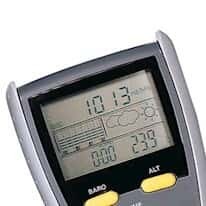 Many options are available on barometers including digital thermometers and weather forecasters.